“Oh! A woman pastor.” Uh oh, I thought to myself. Our church office administrator had just connected me to a woman on the phone who was inquiring about Trinity Lutheran Church. It turns out this caller was delighted to be talking to a woman pastor, it simply had not been what she had expected. This was a welcome encounter but her initial declaration was one more reminder that I am not normal in the city of Nampa, Idaho. 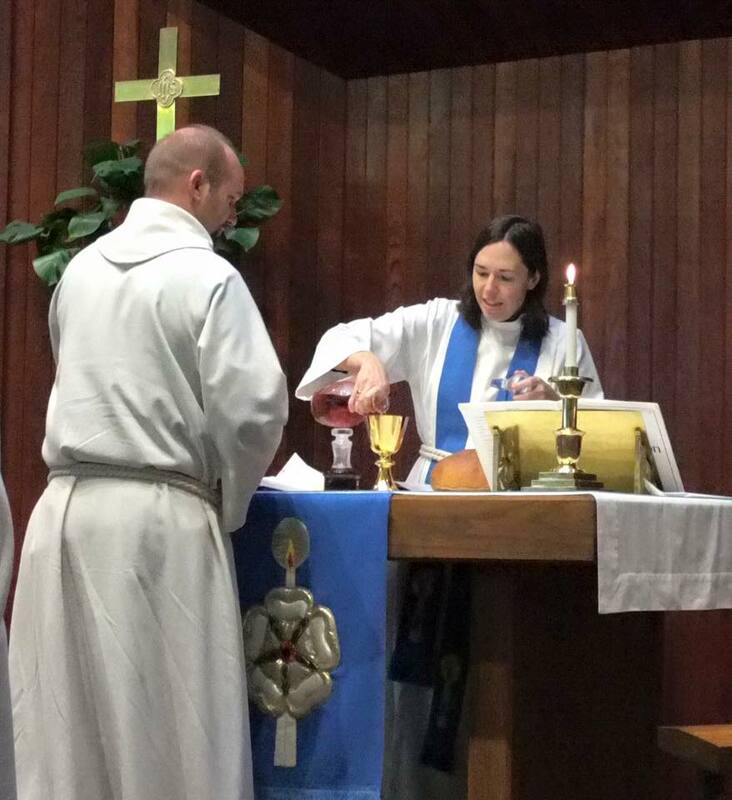 The first spring I was serving as Trinity’s pastor, Trinity took part in a mid-week Lent supper and worship series. Each Thursday the whole ecumenical group went to a different church. Clergy took turns preaching, never preaching when his or her congregation was hosting. As I walked out of a building after worship one Thursday evening another clergy person shouted, “Goodbye Reverend Hunter.” Karen Hunter is the Episcopal priest in Nampa and, as far as I know after five years here, we are the only two women who are solo or senior clergy in town who are not part of a clergy couple. There are two of us, and people can’t remember who is who? Since moving to Idaho I have seen lots of surprised faces and heard many wows when I’ve told people I’m a pastor. I now know that behind my back there are people who have looked down on me, as well as Trinity Lutheran Church for calling me. Last summer a new signal light was built on the church’s corner–Midland Blvd and Lone Star Road. Our parking lot was used to park regular sized vehicles and occasionally people working on the light came in and used our restrooms. One day a flagger came in just as our office administrator and I were about to leave. “Can I use your bathroom?” he asked to which one of us replied “Yes. Down the hall on the right.” He came back, tablet in hand, and asked if I knew scripture. “Yes,” I answered with curiosity in my voice.” He proceeded to quote a passage from scripture in which it’s made quite clear that women should not be in leadership. Whenever I tell this story I’m asked what my response was and I honestly don’t remember. This kind of attack has been happening to women clergy for years, it simply had never happened to me, and I am not good on my feet. I couldn’t recall anything from my studies or sermons or conversations and I knew he wasn’t interested in a dialogue. I was also annoyed that he used the restroom as a ruse to get into the church. I wanted to point out that his zipper was down, which it was. I think what I said was something like, “Yes. That’s in the Bible but the author wasn’t having one his best moments there.” Meanwhile, our office administrator realized that this was really happening. He began to instruct the man to leave. The intruder went on to quote something from Revelation and tell me that I should know better than to be in the pulpit. That’s when I found my voice and said, “You need to leave now.” I got the shivers every time I saw him at the intersection until the project finished. I could tell many other stories about how, since moving to Nampa, I’ve been reminded how far we have to go when it comes to women’s equality. Fortunately none of those stories have to do with my parishioners, who have always treated me as their pastor, with strengths and growing areas, not as a woman pastor. In my interview I think someone mentioned that I would be their first woman pastor but that’s it. Perhaps their lack of discrimination has made the discrimination I’ve witnessed outside the congregation all the more glaring. But how to combat it? 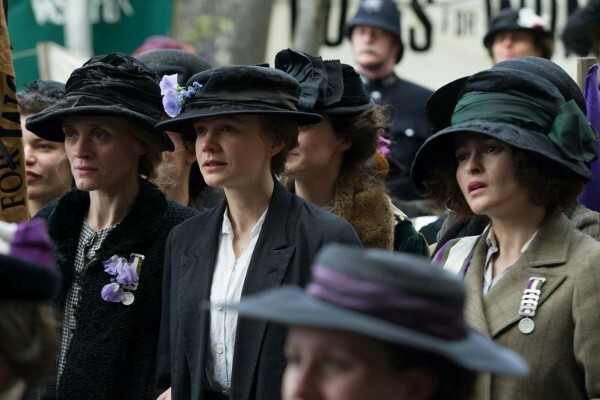 One of the less talked about, at least in the entertainment news, but important films in 2015 was Suffragette, set in the early 20th century in the UK, starring a perfectly cast Carey Mulligan along with Helena Bonham Carter and Romola Garai. There’s also an explosive five minute performance by Meryl Streep, in which she channels the fire and passion of the Emmeline Pankhurst, the movement’s leader. “A drama that tracks the story of the foot soldiers of the early feminist movement, women who were forced underground to pursue a dangerous game of cat and mouse with an increasingly brutal State. These women were not primarily from the genteel educated classes, they were working women who had seen peaceful protest achieve nothing. Radicalized and turning to violence as the only route to change, they were willing to lose everything in their fight for equality – their jobs, their homes, their children and their lives. Maud was one such foot soldier. The story of her fight for dignity is as gripping and visceral as any thriller, it is also heart-breaking and inspirational.” Homepage. I’m thankful for the work of the suffragettes, for giants in the women’s right’s movements in the United States, from Elizabeth Cady Stanton to Betty Friedan. Professionally I’m grateful for the first Lutheran women clergy in the United States. I don’t know if I would condone the militant actions portrayed in Suffragette, and I recognize that the film tells one small piece of the suffragette story, but I understand why they were used. I’m also not sure what role I would have taken or how brave and determined I would have been if I’d been born in an earlier decade. New encounters during the past few months have fortunately made clear what my role is in Nampa, Idaho in this particular time. Several young women who are working towards ordination, always in traditions not as friendly towards women pastors as the ELCA, have asked to speak with me about ministry. Sometimes it’s a referral and other times the women find me on their own. The conversation is never about women’s ordination. Still, they seem to be joyful to have sought out and found a woman pastor with whom to talk and I am honored to be part of their journeys. We have a long way to go and I have found a way to give back in a small but important way. This entry was posted in Movie Reviews, Trinity Lutheran. Bookmark the permalink. Wow- great topic to write about….much needed! I haven’t seen the movie, but will look it up. So glad you continue to serve God where he has called you! I thought ‘Lab Girl’ was a really fascinating tour of bad days, incredible people and taught me lots more about life on the planet at the soil to air boundary. And what a celebration of triumph. This the kind of research that could keep our successors from dying out. I regret the carbon, and understand we cannot live outside our time. I would be so pleased if someone I influenced Is helped thereby just a little to be part of the solution. There will be a solution unless we get really unlucky. All the young researchers and other pioneers will guide us the next generation. We each get our turn grappling with our lot. I’m not done either. What an exciting, truly scary time. I typed out women Pastors in the Search bar of WordPress and this article was one of the first to pop up. I am 29 years old and a woman and an ordained minister. It’s been so difficult for me this last year since being ordained, I haven’t taken any full time pastoral position, I am only on staff at my church as lay pastor. But i’ve never seen the problem with me being a woman and pastor – like you mentioned above- from the congregation. But i’ve noticed its been from leaders….any advice?